You can’t pick your coworkers, but sometimes you get lucky and there are some you actually want to be friends with. These gifts for coworkers will allow you to show your fondness and create an even more amicable working relationship. These cards will help your coworker tell you how they’re feeling. They’re fun to use and can actually be helpful when the information is pertinent. You have to use your own judgement to see if these would be a good fit in your office and for the right person. Here’s a great gift basket that will let them know you care. It’s full of all sorts of different office goodies that they’re sure to enjoy. When you don’t know exactly what to get them, but you want to show them they’re appreciated, this is the way to go. This desk accessory holds a lot of stuff, and features someone that’s doing the best that they can at multitasking. He’s got a roll of tape in his hands, a pen in his mouth, more pens behind him, and paper clips underneath. An irreverent piece, so make sure it’s office appropriate. Help them keep their smartphone and computer monitor squeaky clean with these misting screening cleaners. There are plenty of different screens these days, and with all the tapping and dust it’s hard to keep them streak free and totally clean, but these sprayers help. This is a fun gift the longer they have to go to retirement. It can be a fun reminder that the two of you have a lot more time to hang out together. It can also be a thoughtful gift if their retirement is really right around the corner and they’re getting excited about it. Here’s a fun gift that shows the sort of decision making that takes place at the higher levels of the organization. Spin it around and see where it lands. There are decisions such as Pass the Buck, Maybe, and Sit On It. That’s pretty much what seems to go on with the big wigs. This magnetic pen will provide them hours of downtime and works too so it’s not just a toy it’s a useful item that makes it look like they’re being productive. The pen is completely made out of magnets, so there are any combination of ways to move it and reshape it. 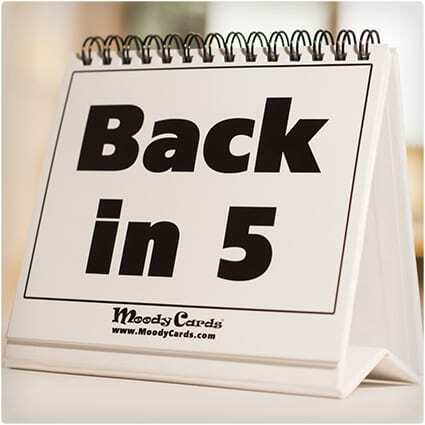 If they’re never at their cubicle when you stop by for a visit, give them this guest book so you can start signing in to let them know that you were there when they weren’t. It includes prompts for all of the information that they’ll need upon their return. What’s your 20 good buddy? When cell phones won’t get reception you’ve got to go old school. These walkie talkies let you stay in touch within a pretty large radius. It will remind you of the time you use to play with your best friend as a kid. Breaker breaker. Over and out. These calendars look great, and serve a purpose at the same time. They are definitely a conversation starter within the office. They can either mount them on the wall, or have them on their desk. You simply move the magnet to point to the right month and day. Nothing says I appreciate you better than a book about appreciation in the workplace. Why bother having a mushy moment with them when you can simply give them a book and have that do the talking for you. They’ll definitely feel appreciated just by the gesture. For those times when they need to deal with that annoying person in the office, you can give them this Blah! button which lets out an annoyed blah blah blah so that you can make fun of them after they leave, or give them a hard time when they’re standing right there. Here’s a really cool desk topper, it’s putty that they can play with, but it’s also magnetic, so it’s great for sticking paper clips to. It’s also good for cleaning up messes like when you drop a bunch of staples or paper clips. Help them keep up with all of the office jargon that needs to be written down with this office jargon stamp. It includes such sayings as I’m in the Loop, Paradigm Shift!, and What is it this time? The sort of phrases that you commonly hear being tossed around an office. Here’s a sort of gag gift for your office buddy. It shows them the proper etiquette to have while at a business, and is great for the coworker that is totally irreverent and always pushing the boundaries. The two of you can have fun going through it and making fun of the advice. If they’d rather be on the links than in the office, you should get them this desktop golf game. When the boss isn’t watching that can practice their miniature sized putting and at least be able to immerse themselves in some sort of golf game. The perfect gift for the office ninja. Let them decorate their office space with these ninja star push pins. They do the job of a regular push pin, but they give the appearance that a ninja has been there, with a star stuck right into the wall. This is a great gift for the coworker that always seems to be spilling their coffee or other beverage at their workstation. It’s a very thoughtful gift that will help reduce the number of spills and keep them more productive and happy throughout the day. This art cube not only looks great on their desk, but it allows them to shape and shift the pieces around when they’re looking for something to keep their hands busy. Bright and colorful it looks a like a piece of art when in a cube form, as well as in other forms. They’ve moved my desk four times already this year, and I used to be over by the window, and I could see the squirrels, and they were married, but then, they switched from the Swingline to the Boston stapler, but I kept my Swingline stapler because it didn’t bind up as much, and I kept the staples for the Swingline stapler. 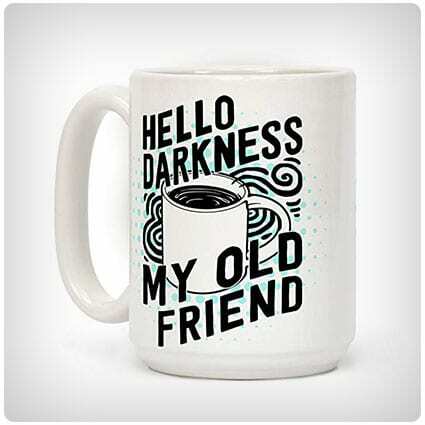 When they’re the type of coworker that doesn’t handle complaints too well, it’s time to get them this complaint department grenade coffee mug. It definitely sends the message to unsuspecting complainers, and has a very unique look when it comes to coffee mugs. These desktop dogs are as cute as can be, and each of them as their own purpose. One has a magnetic nose that keeps paper clips easily at hand. Another holds a pack of sticky notes as if he’s fetched the morning paper. They’re great for dog-loving coworkers. These boards allow the user to write messages on them that fade away, only to be written again. They are addictively fun, and you simply can’t help writing on them once you see how they work. They can be big stress reducers too, and help you find that inner calm. If they’re a fan of Grumpy Cat you can’t go wrong by getting them this plush toy. It’s great for keeping around the office and role playing with it, or helping to cheer someone up that’s in a grumpy mood. It’s hard to look at this plush without smiling, even if you’re feeling grumpy. This basketball game is great for office breaks. If you can’t get outside and play the real game the next best thing is to play this in the office. It’s fun to have around March Madness and during the NBA Finals when basketball is at its most popular during the year. Show them how highly you think of them with this set of high five notes. It allows you to details some of their accomplishments, and you can either use it as a way to validate their actual jobs well done, or to exaggerate the little things they do in a satirical way. Push them on to bigger and better things with this encouraging sculpture that fits right on their desk. It reads “I may not be there yet, but I’m closer than I was yesterday.”. It’s a great addition to most any desk, and will keep them in good spirits knowing they’re making progress. When laptops first came out, they were a novelty. Imagine being able to work on a computer which is on your lap? But they’re not very comfortable, especially when you’re hunched over them and that’s what this riser is for. It makes the laptop more user friendly, perfect for working in the office. This is the perfect solution to that lunchtime conundrum of what to have to eat. These stackable containers won’t take up much room in your bag and both pots are microwave and dishwasher safe, making it easy to heat up your food and clean it out again afterwards. Untidy cables make a desk seem more disorganized than it is. Keep them tidy with this four pack of cable clips which look like pieces of chewed up gum. You’ll always be able to find the ends of your chargers and you’ll never lose your earbuds again either. 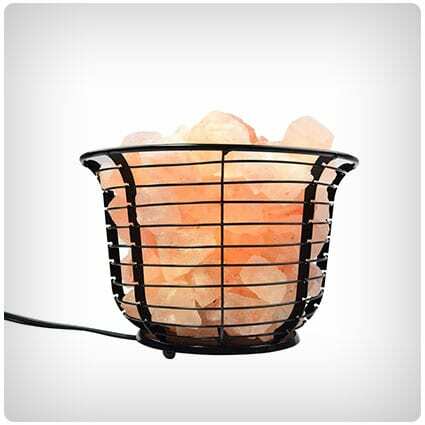 Himalayan pink salt is known to purify the air and make for a calming atmosphere. We all know that the office can be a stressful place and having one of these on the desk can help reduce stress levels, even just through the gentle light it casts. Making sure you’re comfortable in the work place is important. After all, you wouldn’t want to be hunched over a desk all day every day. This footrest is designed to make you feel more relaxed and less fatigued, it’s adjustable by a pedal and can tilt between 0 & 30 degrees for maximum comfort. Not everyone likes hot coffee, but that doesn’t mean they’re adverse to a cold one. This cold brew maker will deliver the perfect cup of cold coffee in the comfort of your own home. It can produce 20 fl.oz. of coffee in as little as four hours, meaning you can wake up to a delicious cup. Bringing your lunch to work can get dull, especially if you end up with the same sandwiches every day. Take this portable lunch bowl with you and fill it with all kinds of lunches; soups and salads, even pasta. You’ll shake up your lunches and reduce your contribution to landfill. To get through the working day, you need a mug as big as your head to fill it with either tea or coffee. This one is 15oz. and has a large handle, perfect for holding all of the good stuff. It’s both dishwasher and microwave safe so it’s durable enough to last those long work days. Making your desk your own is a good way to make your workplace somewhere you’d like to be. Add some personal messages with this felt letterboard; it’s only 10×10 inches so it’s the perfect size to sit on your desk, allowing your co-workers to read what you’ve put. With this gadget in your desk, you’ll be able to brew a hot cup of espresso whenever you need it. It’ll taste just like the one from your favorite coffee shop, just without the hefty price tag. This maker weighs less than half a pound and requires no filters, making cleaning a breeze. Having good handwriting is a must if you don’t want to rewrite every memo or note. This book will give you an introduction to the world of Hand Lettering, teach you the beginnings of calligraphy, and make your writing look a lot more attractive. Whether it is on your desk or in your office at home, this essential oil diffuser will help to add a relaxing atmosphere and calm you down. It also has 7 changing LED lights to add a different element to that atmosphere and it’s easy to clean, meaning you’ll never dread turning it on. Keeping organized is key to a good mindset when working. This acrylic monitor board sticks onto the side of your computer screen so you can keep an eye on the tasks you need to do, including sending emails and knowing what your schedule is for the remainder of the working day. 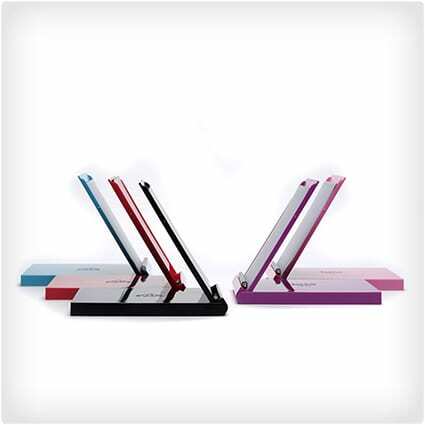 Stick this on your desk and make sure that your personal workspace has perfect air circulation. It’s a great size, so you won’t even notice that it’s there. It has two speeds as well as a manual swivel base so you can adjust the fan to however you want it. There’s no reason why anyone should keep their pens and pencils in a boring old pot. Liven up your co-worker’s desk with this cassette tape pencil holder. It has separate compartments so they can organize it however they like, and they’ll know exactly where everything is. 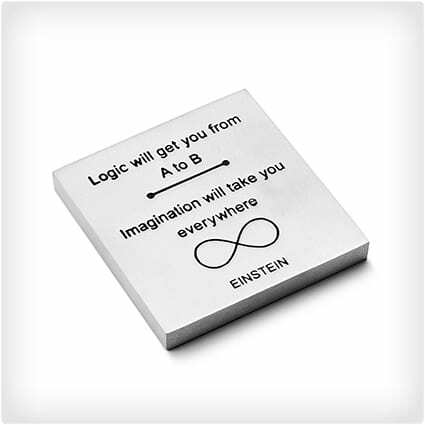 This paperweight has a famous Einstein quote about imagination, and adds in some graphic representations about linear thinking versus imagination. It’s great for someone that is very imaginative, because it will give them confidence that their imagination matters more. Here’s a fun gift to use in an office that doesn’t have an Employee of the Month program. It’s a great way to show that they’re appreciated in the office, and after the first month passes it will become clear that they are the perpetual employee of the month. Here’s a powerful way to show them how much you think of them. Every major athlete has their own bobblehead, and a lot of other famous people have theirs too. But bobbleheads just don’t make it into the office, but you can fix that problem with this gift. For the coworker that is always complaining that they’re cold, you can help them warm up with this cubicle space heater. It’s big enough to provide personalized heat for roughly the size of a cubicle, so they’ll be nice and warm while the rest of the office is ice cold. These sugar cubes are a very nice gift for the coffee loving coworker in your life. They are easy to make, but taste great and are a very convenient way to add sugar to coffee or tea. Put them in a decorative jar and it will make a nice gift since it is handmade. Help them unwind after work with this spa scrubbie that comes with a bath tea soak. They can turn ordinary bath time into a spa experience, and it’s a great way to show them that you care. Be sure to make extras so that you can do the same at home. Everyone loves cookies, and these jars contain everything they’ll need to mix up a batch of cowgirl cookies. These cookie in jar gifts always go over well because they look great, and take out all the measuring and guesswork and let them focus on the eating of the cookies. These luminaries look absolutely amazing, and they’ll be shocked that you were able to make them yourself, since they look like something you’d buy in the store. You should make more than one because chances are you’re going to want one too when you see how cool they are. Zen gardens are a perfect desk accessory; they can be decorated however you want and raking patterns into the sand is a good stress reliever. Don’t buy one though, take a look at this tutorial and make it yourself – it’ll look so much better and cost a lot less too. When you’re typing or writing all day every day, your hands can look a bit worse for wear. Take a look at this blog post, which tells you how to make your very own cuticle balm. With no chemicals or nasties in, you can rest assured, knowing that you’re giving your hands what they deserve. Having a nice watch is the perfect way to finish off an outfit, but what if you own more than one? Display them where you can see them with this DIY holder. You’ll know how many you’ve got and be able to easily decide which one to wear with every outfit you choose. If you know someone who is losing their keys all the time, this DIY carabiner key chain holder is absolutely perfect. It costs just over $2 a piece so you’ll be saving serious money just by making it, instead of buying a ready made key holder from the store. Taking your used coffee grounds and turning them into a body scrub sounds disgusting, but it’s actually really good for you. The caffeine can brighten your skin, while the coconut oil you add gives moisture to dry skin. It’s just a winning combination and it’s so much cheaper to make than to buy. If you have been trying your hardest to think of something special to get the treasured employee in your life, simply browse this list of healthy subscription boxes that will keep them in tip top shape both physically and mentally. The holiday gift exchange is legendary. Make your own mark by giving one of these unique and hilarious items. You can be sure that no one already has a nose-shaped pencil sharpener or unicorn poop. Giving and receiving gifts should always be fun; after all, what greater gift can there be than laughter? Make sure there’s a smile on their faces by choosing an appropriate (or inappropriate) office gag gift for all your co-workers.